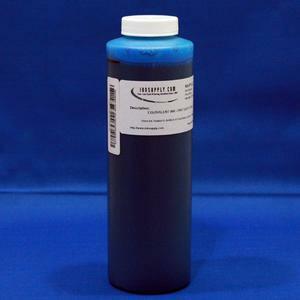 The Inksupply.com K4 Ultrachrome Equivalent Inks Are A Direct Replacement For The Epson K3 Ultrachrome Inks. Compared To Our Earlier Ultrachrome Equivalent Inks, K4 Features The Widest Color Gamut Available, Pigment Encapsulation, Excellent Light Fastness, Vivid - Stable Colors, And Intense Saturation. They Have Been Extensively Tested And Scientifically Formulated To Provide Longevity, Durability And Water-resistance. The High Quality Of The K4 Inks Makes Them Perfect For Posters, Banners, Murals, Indoor And Outdoor Displays, Art Prints and Photographs. They Are Specifically Intended For Professional Use By Photographers And Artists When Producing High-end Graphics, Advertising, Archival And Fine Art Prints With Epson Printers. The Increased Quality Of The K4 Ink Helps professionals Create Superior Prints When Compared To Other Inks. These Inks Are Designed To Work On Matte Finish Paper, Semi-gloss Or Glossy Papers. It Provides A More Realistic Looking print By Eliminating The Distracting Shine Characteristic Of Other Inks. The Inksupply.com K4 Ink Sets Have 9 Inks; 4 Black (matte, Photo, Light Black, Light-light Black) And 5 Color (CMYLcLm). Additionally, The Light-light Black Makes The 2400, 4800, 7800 And 9800 Printers Excellent For Making Black And White Prints. Lastly, The K4 Ink Set Is Now Available With A Compatible Vivid Magenta For Selected Epson Printers. The New Compatible Vivid Magenta Is Able To Produce A Spectacular Cornucopia Of Dazzling Blues, Reds, And Purples. As With All InkSupply.com Inks, K4 Is Proudly Manufactured In The US To The Highest Quality Specifications Available. Fully Compatible With Epson Inks, Both Desktop And Wide-format. Flushing Not Required. Additional Light-light Black For Making Black And White Prints.